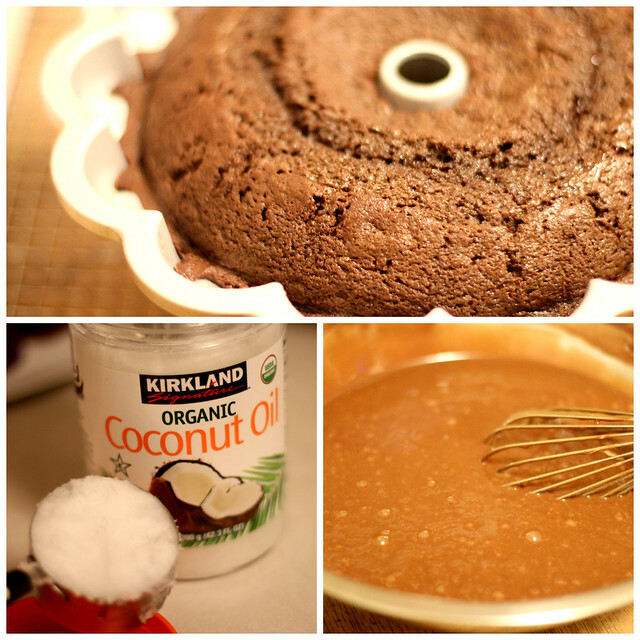 Chocolate + Espresso + Amazing Crown Bundt Pan = Simply Delicious! You know that "Japanese Clutter" book (The Life-Changing Magic of Tidying Up: The Japanese Art of Decluttering and Organizing by Marie Kondo)? Well, she tells you to hold up every single item you own and ask, "Does this bring me joy?" If not, you toss it without regret because you only want to surround yourself with things that make you happy. Therefore, I just want to tell you... I want to surround myself with this new Nordic Ware Bundt pan (and its cousins, all my other Bundt pans). 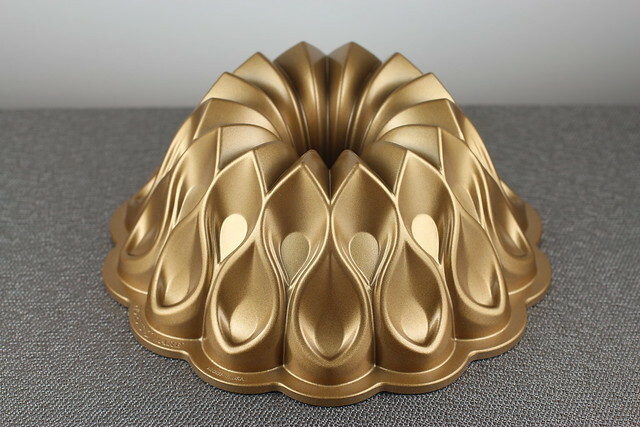 This Crown Bundt is the diva of my Bundt world - totally cool and layered in gold. 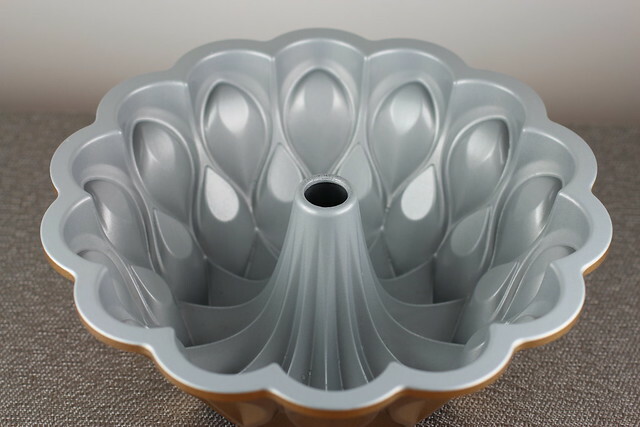 I'm excited to show you the new 70th Anniversary Nordic Ware Crown Bundt pan. Isn't it pretty? It's amazing that family-owned Nordic Ware has been making bakeware for 70 years! Most of their pans are made in America too. 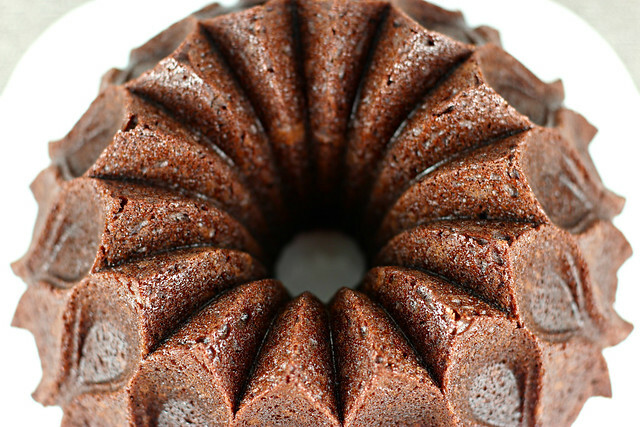 As I've said for years on this blog, the best Bundt pans are made by Nordic Ware. And as you've seen over the years, I only have Nordic Ware in my kitchen! Inside the Nordic Ware Crown Bundt. I really appreciate Nordic Ware's crisp lines in all their pans. The humps in the traditional bundts are well-defined and the designs really hold in the finished cake. This design was made specifically for the 70th Anniversary Celebration and honor Nordic Ware’s Scandinavian roots. 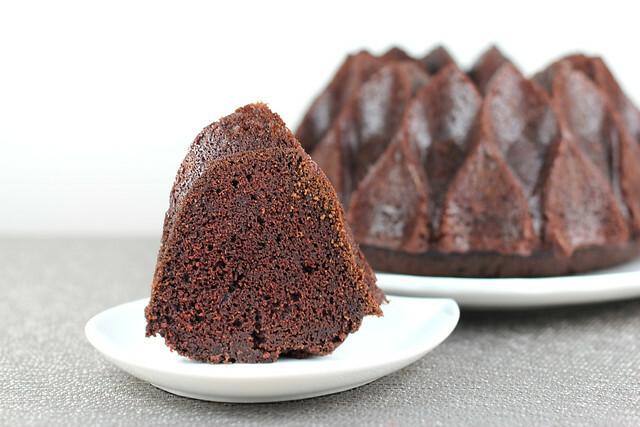 It's a great 10 cup Bundt pan to add to your collection. And look at it!!! It's gold! For the first time ever, it has a limited edition sparkling gold-metallic finish. 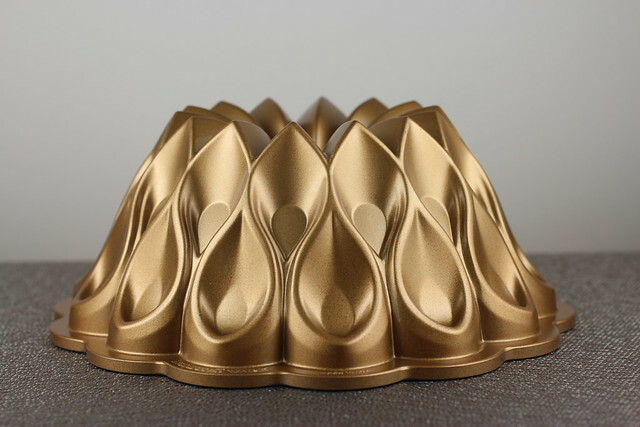 They have two other Bundts in the collection that have gold finishes too. Hey, it's an Olympic year, so you deserve a Gold Bundt in your collection. Here's a side view of the cake. This was a big hit at work. 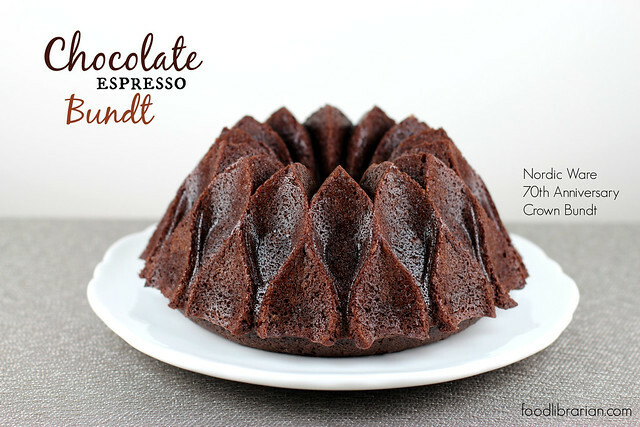 It's a perfect Bundt for a meeting or brunch - goes nicely with coffee or tea. For this recipe, I was inspired by my favorite Chocolate Cinnamon Bundt, but switched up the flavors. I added some instant espresso powder to highlight the chocolate flavor, and used butter and coconut oil. It's super easy to make - you just need to melt some ingredients and mix. No KitchenAid mixer is needed. Get the pan from Nordic Ware! Disclosures: The nice folks at Nordic Ware gifted me the Crown Bundt product. Opinions are my own. Also, I'm in the Amazon Affiliate program and make a few cents if you click on some product links. Prepare 10-cup or 12-cup Bundt pan (I prefer to use a baking spray (with flour) but you can also butter and flour the pan). Preheat oven to 350 degrees. 1. In a large bowl, whisk together: flour, sugar, baking soda, and salt. 2. Place water, coconut oil, butter, instant espresso powder and cocoa in a small pot and heat until melted, whisking to combine together. Remove from heat. 3. Add the chocolate mixture to the flour mixture, and whisk by hand until combined. 4. In a small bowl, lightly beat together the eggs and vanilla. Add to the batter and combine. 5. Add the sour cream and combine with the whisk. 6. Pour batter into prepared Bundt pan. It will be a runny batter. 7. Bake at 350 degrees for 40-50 minutes (depending on your oven and pan), until a wooden skewer comes out clean. 8. Remove from oven and let sit on a wire rack for 15 minutes. Invert onto wire rack and let cool completely. 9. Eat plain or dust with powdered sugar and enjoy.